Expertise and experience: Mr Cubbin was appointed an Independent Non-Executive Director of McPherson’s Limited on 28 September 2010 and was appointed Chairman of McPherson’s Limited on 1 July 2015. 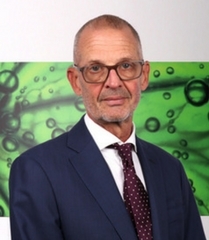 Mr Cubbin was a senior executive with Consolidated Press Holdings Limited (CPH) from 1990 until September 2005, including Chief Financial Officer for 13 years. 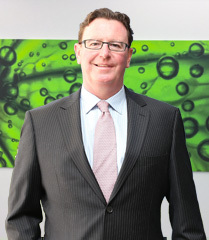 Prior to joining CPH, Mr Cubbin held senior finance positions with a number of major companies, including Capita Financial Group and Ford Motor Company. Mr Cubbin has over 20 years experience as a Director and audit committee member of public companies in Australia and the United States. Special responsibilities: Chairman of the Board. Member and Chairman of the Audit Risk Management and Compliance Committee. A new Chairman of the Audit Risk Management and Compliance Committee is in the process of being appointed. Member of the Nomination and Remuneration Committee. Other current Directorships: Mr Cubbin is a Director of the ASX listed companies Challenger Limited, STW Communications Group Limited, Bell Financial Group Limited and White Energy Company Limited. Former Directorships in last three years: None. Expertise and experience: Ms McKellar was appointed an Independent Non-Executive Director of McPherson's Limited on 23 February 2015. Ms McKellar is an experienced international senior executive with extensive customer-focused, brand, marketing and digital experience across a number of high-profile, global brands. Ms McKellar commenced her career at Unilever in London and her subsequent roles have included global CEO of Stila Corporation, USA; Managing Director of Elizabeth Arden Australia; Founding CEO of Excite.com Asia Pacific; Director of Sales and Marketing for Microsoft (MSN); and Founding Director of Ninemsn. Ms McKellar holds a Master of Arts (Hons) from the University of Aberdeen and is a GAICD. Former Directorships in last three years: Non-Executive Director of Helloworld Limited, Non-Executive Director of Seachange Technologies Pty Ltd (remains an advisor). Expertise and experience: Mr Peck was appointed an Independent Non-Executive Director of McPherson's Limited on 19 December 2017. Mr Peck is an experienced senior executive with 25 years’ experience in the Consumer Goods Sector. Originally a Chartered Accountant, Grant worked for the Lion Nathan Group in the 1990’s with roles in Finance, Corporate Finance, Sales and Strategic Planning in both Auckland and Melbourne. He then joined the McCormick Foods Group and worked primarily as the CFO for the Asia Pacific part of this business with Managing Director responsibilities for the Industrial Business. After joining the Fosters Group in 2004, Mr Peck worked across the beer, wine and spirits business with accountability for the entire CUB Supply Chain for Fosters Group and finally CFO for the CUB business for the SAB Miller group. Mr Peck is currently the CEO of an Agri-Foods Business, Sunny Ridge Farms, based in Melbourne. Special responsibilities: Member and Chairman of the Audit and Risk Committee and Member of the Nomination and Remuneration Committee. Expertise and experience: Mr Pearce was appointed as an Independent Non-Executive Director on 20 February 2018. Mr Pearce was the founder of a cosmetic contract manufacturer, Scental Pacific in the 1980’s which he sold to the Smorgon family in the 1990’s. He subsequently founded a new manufacturing business in the personal care industry, Beautiworx Australia in 2000 which was then acquired by BWX Ltd in 2014 and listed on the ASX in 2015. Mr Pearce was a director of BWX Ltd. In addition he has maintained extensive involvement in the procurement and import wholesaling of cosmetic and pharmaceutical packaging and active ingredients. During this 30 year period Mr Pearce has acquired unparalleled knowledge and experience in all facets of manufacturing in Health, Wellness and Beauty. Other current Directorships: Mr Pearce is Chairman of ASX listed Probiotec, and is a Non-Executive Director of Cann Group Ltd another listed entity. In addition Mr Pearce holds board seats with Ellume Heath Limited and Elyptol Pty Ltd. Expertise and experience: Ms. Mew was appointed an independent non-executive director of MCP on 24 July 2018. 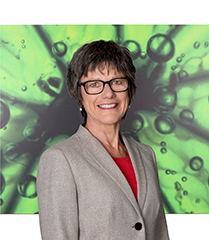 Ms. Mew has more than 30 years of leadership and executive management experience in Australasia across a diverse range of functions within the biopharmaceutical and health services sectors. Her experience includes product manufacturing, quality systems, logistics, sales and marketing, as well as research and development. She is also familiar with the regulatory environment that governs the healthcare market. In addition to these technical and operational activities, she has been involved in corporate acquisitions and divestments as well as the strategic planning process. 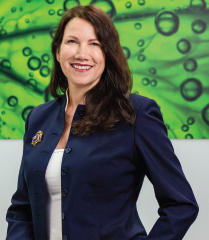 Ms. Mew, with a background in science, has recently held the positions of Chief Operating Officer and then Chief Executive Officer of Genetic Technologies Limited, an ASX and NASDAQ listed leading edge genetic testing services business. Currently a Consultant / Director for the Centre for Biopharmaceutical Excellence Pty Ltd, Ms. Mew provides consulting services to the life sciences industry, in areas of technical operations, strategy and management. Ms. Mew has also held consulting and senior managerial positions with large multinational companies as well as SMEs, including CSL Limited, Innovative Process Solutions Pty Ltd and Ego Pharmaceuticals Pty Ltd and has recent relevant experience in the Asian market, consulting on manufacturing processes and compliance. Ms. Mew holds a Bachelor of Science and a Master of Science (Microbiology) and has undertaken the Executive Development Programme at Melbourne Business School. More recently at Sanofi, Mr. McAllister had the fortunate experience of leading a significant turnaround as one of his business units - the Consumer Health Care business had been seriously struggling. Through making tough choices and refocusing the business to ensure that the brands were in great shape domestically. This prioritisation acted as a catalyst to create a rare dynamic, “a virtuous cycle”. The stronger the brands were in Australia and New Zealand Pharmacy channel, the more attractive they became to the export environment, especially China. 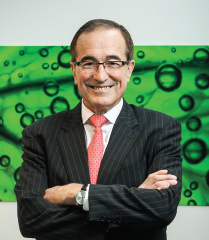 This resulted in a significant take-off, which in turn allowed Sanofi to re-invest back into the Australian brands and marketplace. An example that is highly relevant for the outlook of the McPherson’s business and brands.